I am putting on a show! In an Evening of Rough Science we will conduct an autopsy on a microwave, unweave the rainbow to make the sky is blue, and unravel the challenges of how to explain Climate Change to your dad. 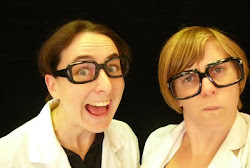 Join Sean Elliott, a science communicator with over ten years experience of writing and presenting shows for Museum Victoria and the CSIRO, for an evening of Rough Science. 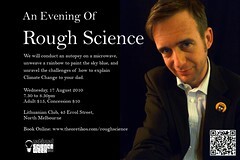 For more info, and how to book, visit An Evening of Rough Science page at Theoretikos.